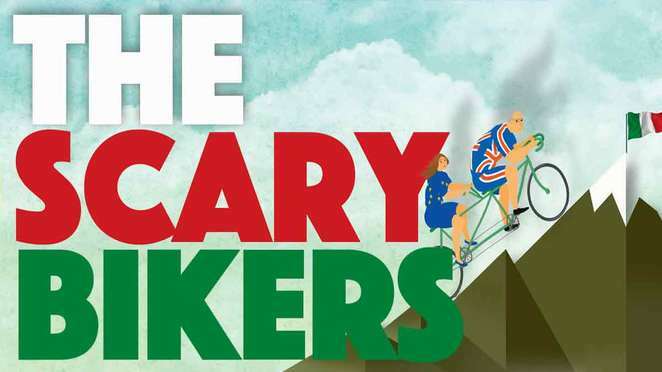 The Scary Bikers is the sort of name that inspires images of burly men with scowls on their faces riding around on Harley Davidsons - a bit like the Hairy Bikers but with less pies and less smiles. But that's not what you'll find if you head along to John Godber's The Scary Bikers at the Theatre Royal Winchester on Friday 23rd or Saturday 24th February 2018. 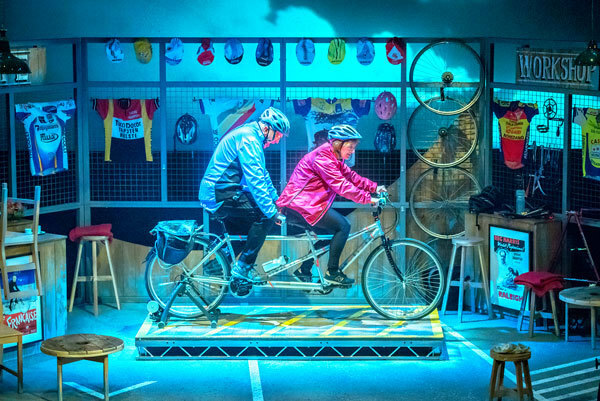 For starters, they're cycling, not biking, and instead of two tattooed blokes, these scary bikers are two widowers who decide to set off together on a cycling road trip to Florence. 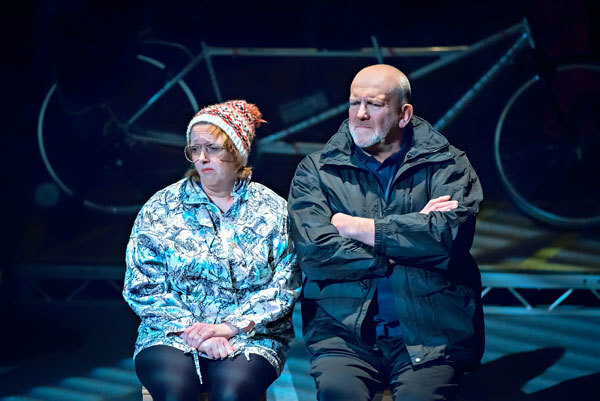 Carol and Don, played by real-life husband and wife Jane Thornton and John Godber, meet at a bereavement group after both losing their partners. Despite being very different people, the two bond over a love of cycling and decide to head off on a journey to Florence together. The pair have some laughs, many debates, and a share a few worries - this is a story of both loss and companionship. The Scary Bikers was commissioned by Art 50, an initiative that calls upon artists to produce creative works that explore what it will mean to be British post Brexit. Some of Carol and Don's conflicts come from their opposing views about the referendum, but their conversations also lead to a better understanding about each other's side. Tickets are £23 or £17 for concessions, discounts apply for friends of the theatre, groups and school. Matinee performance tickets are £19 and £14 for concessions. Tickets can be purchased online from the Theatre Royal Winchester website or by calling the box office on 01962 840 440.